August 06, 2018, 3:30 p.m.
R.L. Stine’s beloved children’s books returns to the screen on October 12, 2018 with Goosebumps 2: Haunted Halloween. Sony Pictures is again producing the upcoming film though this time, it stars an entirely different cast from the 2015 film titled Goosebumps. As the new film’s release nears, getting the word out among fans of the first Goosebumps movie is critical to garnering interest. 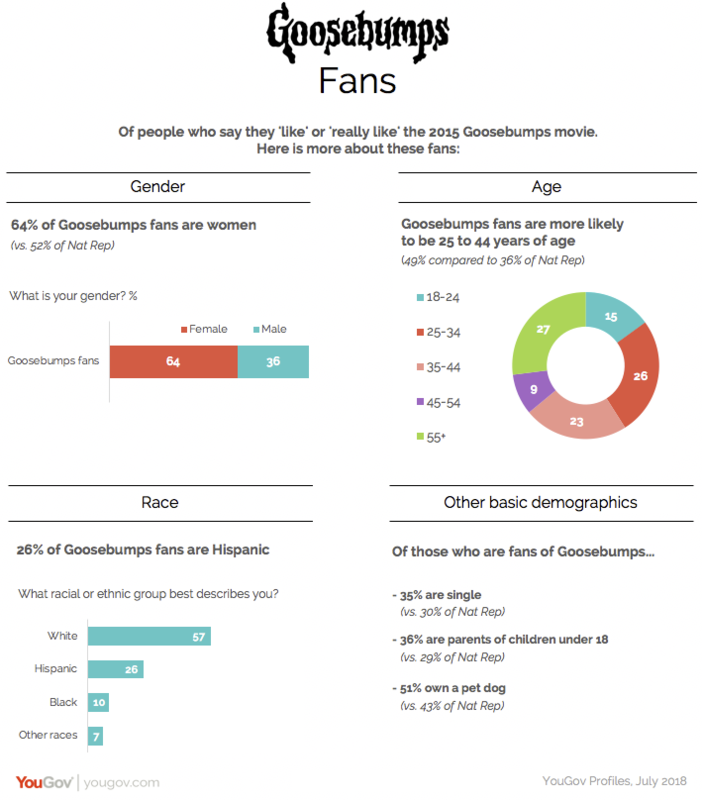 Data from YouGov Profiles shows that Goosebumps fans tend to be distinct from the US population – from who they tend to be to the attitudes behind their behavior. Fans of the first movie are more likely to be women (64%) than men (36%) and many of these fans over-index as Hispanics (26%), compared to the general population. 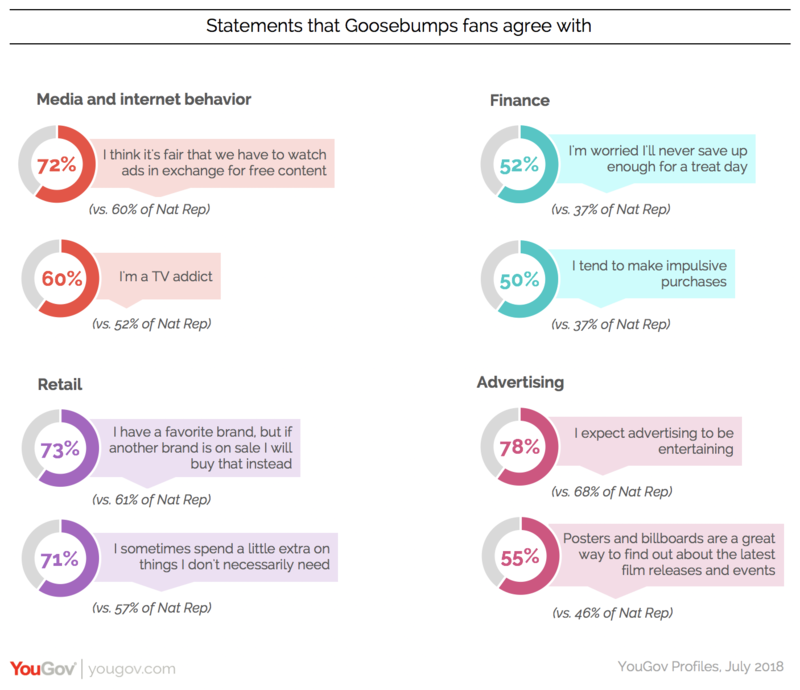 The original Goosebumps books were popularized in the 90s, explaining why Goosebumps movie fans are more likely to be older millennials (26%) or younger Gen Xers (23%). One-third report that they are single (35%) and nearly the same amount say they have young children (36%). Getting to know a fan of the Goosebumps movie requires piecing together the opinions and attitudes that make up who they are. 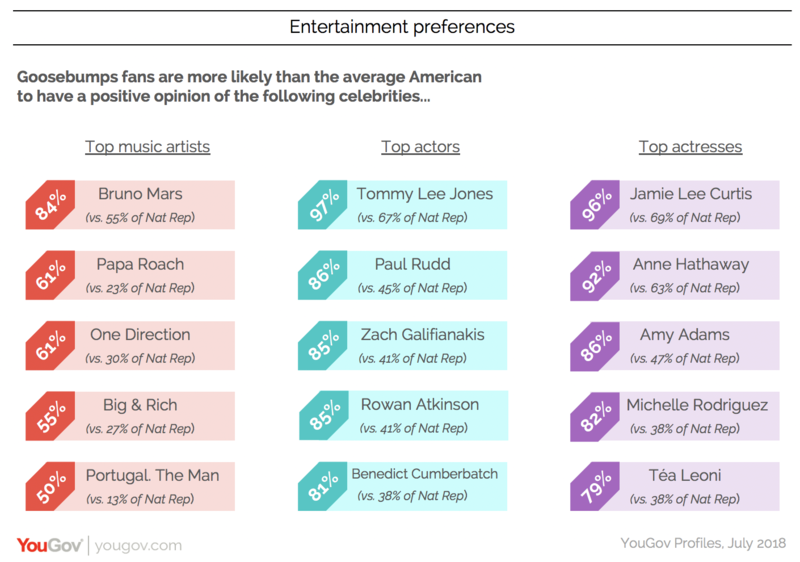 For example, more than half of these fans are worried about their finances, particularly that they won’t be able to save up enough for a treat day (52%). This concern over money may be linked to another attitude indicative of how this segment spends its money. Nearly three-quarters of the group (73%) say they will buy from a brand that is on sale in lieu of their favorite brands. When it comes to other movies they like, Goosebumps fans tend to stay true to their favorite genre – fantasy. 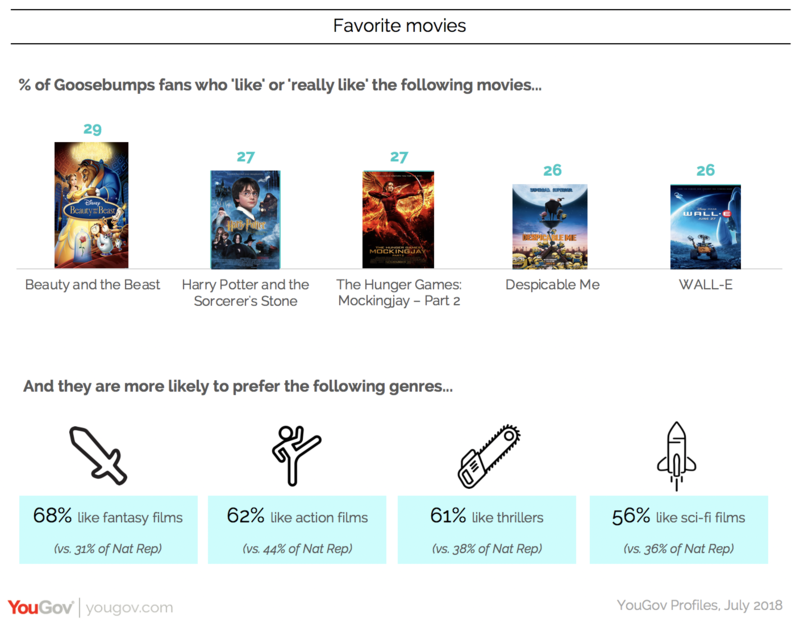 Nearly seven in ten (68%) say they like fantasy films, a point further underscored by the fantasy-heavy films they tend to like compared to the general population. YouGov measures a range of consumer preferences critical to forecasting future behaviors and informing business decisions. Knowing, for example, that Goosebumps fans are more likely than the general public to favor particular music artists or actors could help Sony in making the decision to partner with the right people. 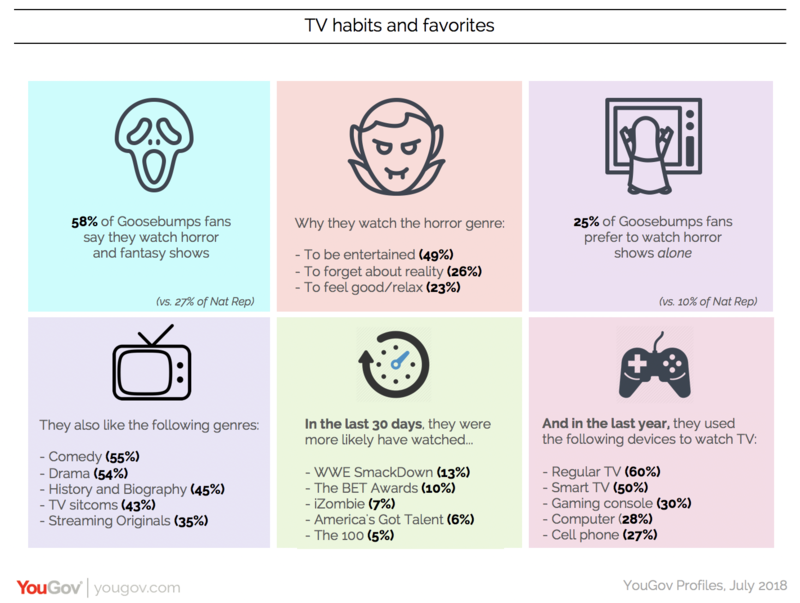 Exploring their television habits – from why they watch horror shows to who they watch with to the other shows they watched in the last month – paints a fuller picture of who these fans are. 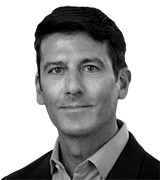 This type of consumer data may be of particular interest to advertisers who want to know how and when to connect with the fan base as they watch TV.